Have you ever thought about how to grow food without a garden? I’m not talking about tearing out those flowers and shrubs to convert the bed to a vegetable garden. I’m talking about incorporating vegetables in with those aesthetic plants to create an edible landscape. It’s called foodscaping, and my guest this week, Brie Arthur, is considered an expert on the subject. A decade or so ago, Brie found herself in the same position as many Americans these days – struggling to make ends meet. 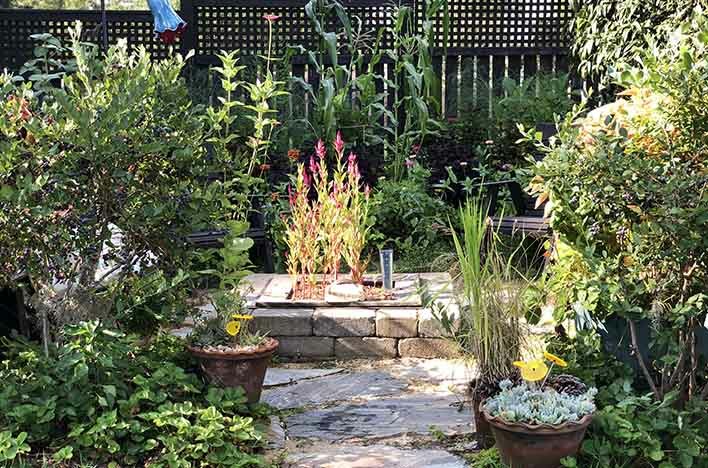 She realized she could save money on groceries by growing her own vegetables, but the strict HOA covenants of her neighborhood prohibited her from installing a traditional garden space. 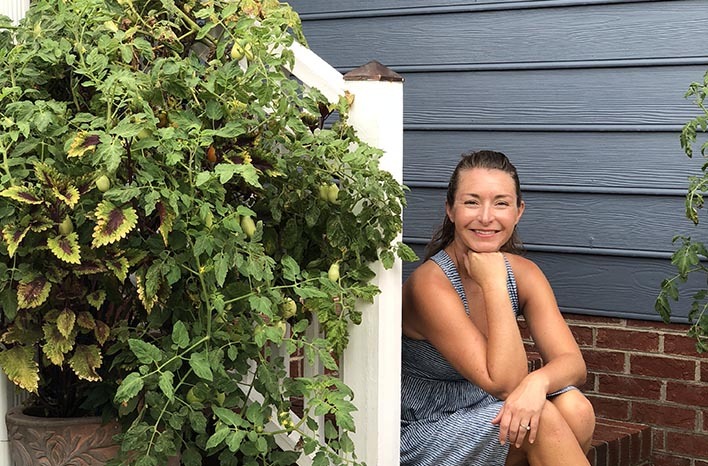 Necessity is the mother of invention, so Brie decided to use some of the methods featured in one of her favorite books – Edible Landscaping, by Rosalind Creasy. Taking a gamble that she wouldn’t be hit with a fine by her HOA, Brie sprinkled a few vegetable seeds among the ornamental plants already in the landscape of her quarter acre lot. She soon found herself with enough vegetables to feed herself and four neighboring families. Not only did the HOA not realize Brie was growing vegetables – within six months, she was awarded “Yard of the Year.” The lesson? She could grow food to reduce her grocery bill, and her landscape could be even more beautiful as a result. 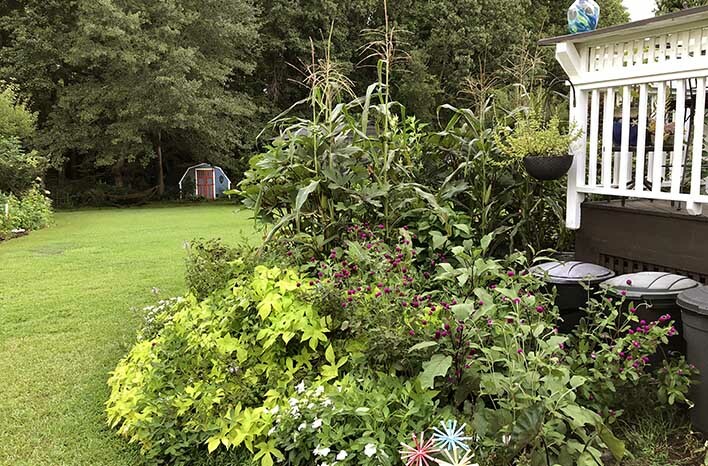 Over the years, Brie continued experimenting with her foodscape, and it’s taken her places that just might transform your perception of the gardening experience. There’s a large landscape bed which separates Brie’s home from the street. These types of spaces are typically planted with boxwood, potentilla, hydrangea, azalea or some other ubiquitous ornamental shrubs. 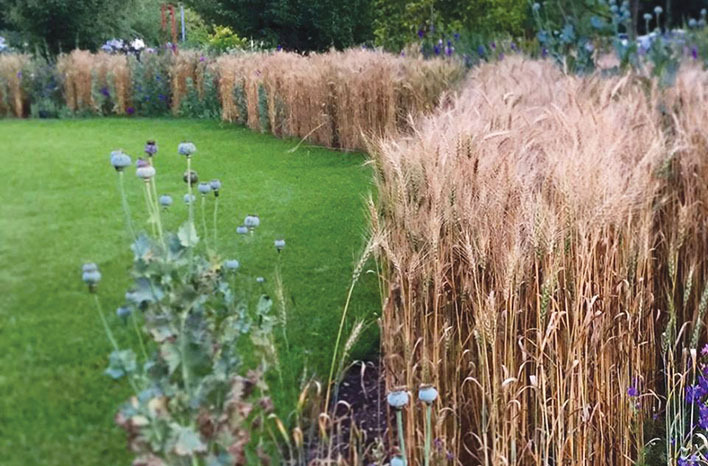 But for the past few years, this 850 square foot area in front of Brie’s home has been planted almost entirely with grains. A few flowering shade trees have been planted there too, but until those mature, Brie uses grains and a mix of flowers to create a showstopping treat for the eye and her table. More on this experiment in a moment. During that first year of growing vegetables on her property, Brie was impressed by the changing habits of the neighbors who had received some of her homegrown produce. Each of these families began making meals together and sitting down to eat together more often too. It proved for her, that growing food at home does so much more than feed our stomachs. American interest in gardening has been on the rise throughout the past decade or so. As someone who believes gardening has the power to improve our lives and our environment, I love this trend and have tried to encourage it by sharing the efforts of gardeners, small farmers and industry experts on my PBS show, Growing a Greener World®. Gardening with ornamentals can be engaging and fun, but gardening to grow food is where the true power of transformation lies. That said, there are some common challenges to getting started – restrictive HOA covenants, limited space, limited tool or money resources, or just plain feeling intimidated by the process. But where there’s a will, there’s a way and foodscaping may just be the way for you. There are food deserts – areas where people don’t have access to fresh or local produce – all across our country, but the opportunity to solve these food shortages is actually right under our noses. There are 180 million acres of developed property in the U.S., and much of that is planted with the same standard array of perennial plants and shrubs. It’s Brie’s aim to get more people to utilize these urban and suburban spaces beyond the ornamental. If you own or rent a home, odds are pretty good that you have some open landscape bed space between ornamental plants. The average American house includes about 1,250 square feet of landscaping on average. That’s the equivalent of 48 average-sized raised beds – in other words, plenty of room to mix in a few veggies! In fact, as property is developed into new housing, builders are required by code to incorporate a band of bed space around each home. When new shrubs and flowers are installed, there’s usually lots of open areas in between which are covered in mulch – or worse, become covered with weeds. Maybe it’s time to start giving these open spaces more purpose. Once you look around, it won’t take long for you to realize how much space you already have available to get started – without removing any grass or even pulling out a tool. All you need to do is choose the food you would like to grow and identify where in existing beds, those edibles will do best. 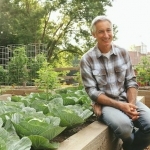 When you grow a food crop yourself – any food crop – you develop a much greater appreciation for the effort of the farmers who produce that crop commercially. So when you need to purchase that fruit or vegetable, it means more, and you have a better idea what to look for to determine freshness and quality too. Homegrown food can be safer than the stuff you buy in the supermarket. In fact, 2018 has been a record year for food recalls due to e coli. Why is homegrown produce safer? Food-borne illnesses aren’t an issue created by carelessness on the part of the farmer or packing company. The problems generally arise because the commercial agriculture industry processes create more opportunities for contamination. Commercially-farmed vegetables are grown in massive quantities and, then, undergo a pretty involved packaging process. These foods are handled by lots of people and placed in packaging – typically plastic – which has also been handled by lots of people. Since you and your family tend to be the only ones handling your small crops, there is a significantly lower chance of contamination from any food-borne illness. Vegetables are annual plants – meaning they only live for one growing season. 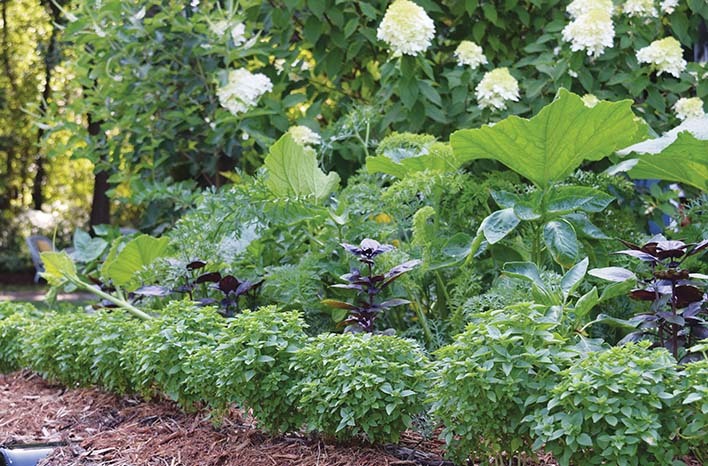 When you have all your vegetables planted in the rows or groupings of a traditional garden, it can look a little messy as those plants begin to fade and die back. 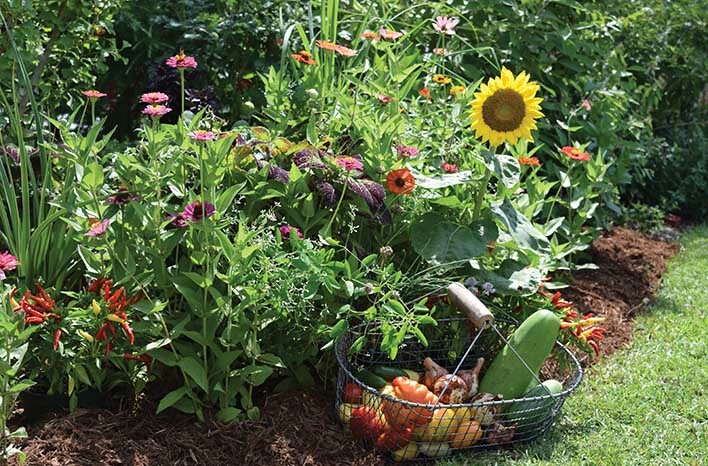 If you mix vegetables in with perennial plants and shrubs, you can manage them the same way you would manage any annual – like petunias or zinnia. 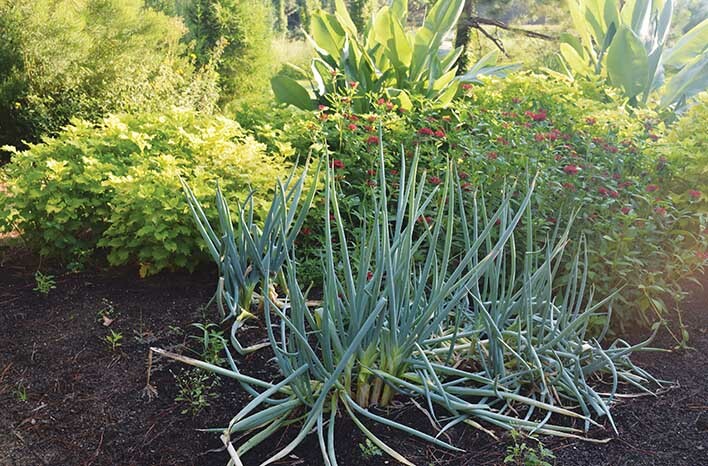 The structure of the ornamental perennials will camouflage the fading edible plants and will keep the landscape bed looking nice once it’s time to pull out the dead vegetable foliage. When you mingle edible crops with ornamentals, there is more flexibility in how much you need to plant from year to year. 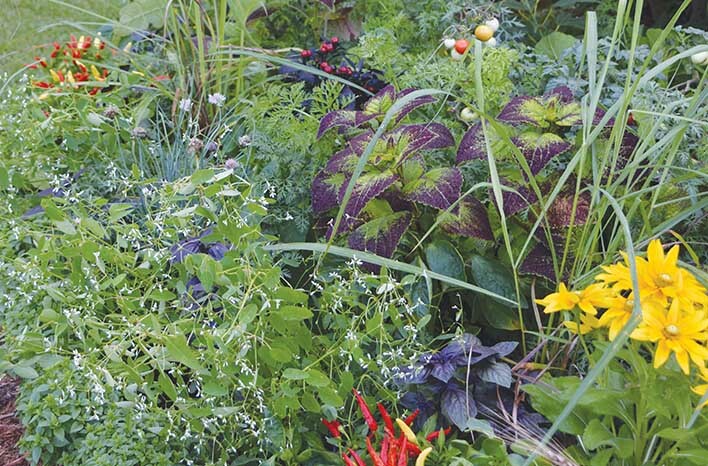 Barren garden beds can make even the busiest of us feel like we’ve failed, but when you’ve been mixing edibles in with perennial plants and shrubs, it’s easy to switch things up or even skip a season based on what you might have planned for the summer. The ornamental palette will already be in place to compensate for the lack of edible plants. Intermingling these types of plants is also the best way to increase biodiversity in your landscape. 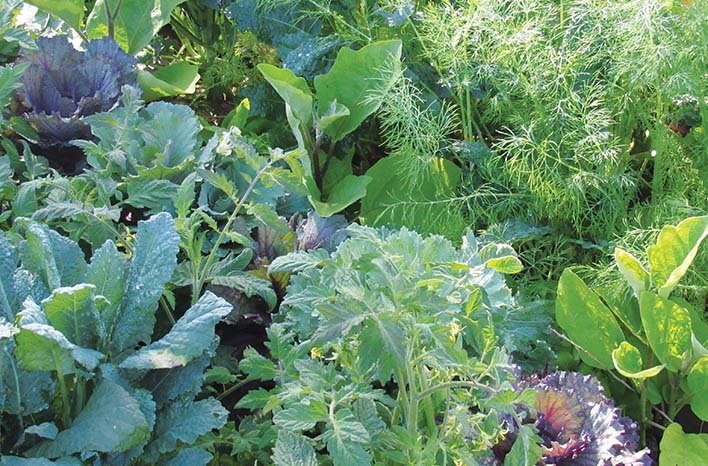 Grouping several of the same plants together – like in a traditional vegetable bed – can draw in more of the pest insects which like to feed on that type of plant. 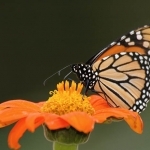 Placing your broccoli or kale among lavender, black-eyed Susan’s and hydrangea can not only confuse the pests, but those ornamental plants are more likely to draw in the beneficial insects which eat those bad bugs. A healthier ecosystem in your landscape will mean less maintenance and more enjoyment for you. Growing your own food also helps to cut down on some of the chemical pressures in the environment. Those enormous commercial agriculture operations are growing acres of a single crop. Large monocultures pose a greater risk of pests and diseases, so commercial operations typically use a lot of chemicals to treat for those issues. When you grow edible crops yourself, you are in control of the chemicals applied to your food – if you opt to use any at all. 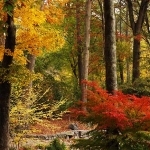 You will have fewer pest and disease issues anyway – thanks to the healthier ecosystem created by diverse plant types. The average supermarket produce has been shipped between 1,500 and 2,500 miles to get to store shelves. Did you know that China is the top producer of garlic sold in the U.S.? In fact, during 2012, 90% of the garlic sold to Americans had been grown in China and shipped thousands of miles to U.S. supermarkets. Imagine the collective difference we could make if we all started growing our own garlic! It’s very easy to grow, and it can be beautiful in the landscape. That said, you probably won’t be able to grow everything you eat, so when you do buy, start with your local farmers. Farmers are under appreciated, but they are critical to our society. Anyone who has followed my television or podcast series for very long knows that I am a huge proponent of supporting local farmers. These are fellow members of your community, and supporting their efforts reduces the resources involved with shipping food vast distances across our country. All these little choices really do add up to lessen the environmental impact of our existing food system. 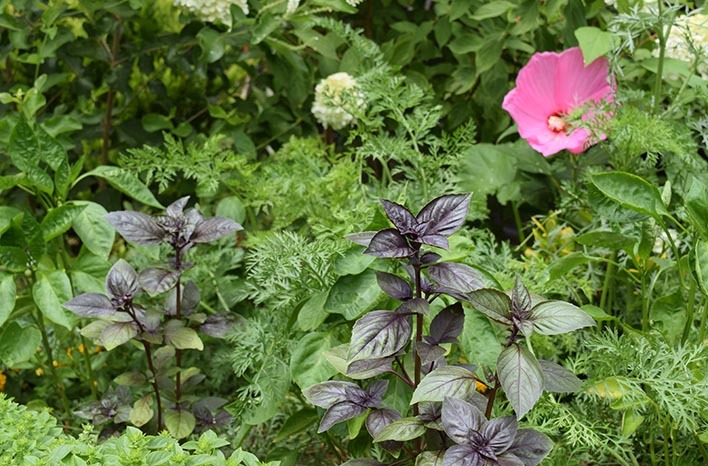 Once you’re ready to incorporate edibles in your landscape, there are a few key points to consider to get the best results. Spend a few minutes to learn the requirements for the crops you want to grow. Most vegetables require about six hours of sunlight each day, so look for the existing bed space that gets the most sun. That said – if you live in a warm climate, be careful with tender crops like lettuce or arugula. Too much hot summer sun can do them in, but they might be great candidates to grow on the northern, shady side of your house. Consider the size the edible plants will reach and how they grow, so that you can tuck them in where they will have enough space to reach their mature size among your ornamental plants. It’s a good idea to start small. Gardening should be fun – something you look forward to. So, get creative in how you mix your plants, and don’t bite off more than you can chew. Even if all you do to begin is sprinkle lettuce seeds around your rose bushes, you will have an easy crop that will feed you for months – and it will look pretty to boot. As you get more comfortable and experiment with a few vegetables, you can add more crops from season to season. Brie recommends that you think of your property in terms of three growing zones to help you determine the best spot to plant the edibles you choose to grow. Zone 1: Which landscape beds are nearest to your water source and the paths you will walk frequently? Brie recommends placing crops in those areas which will be harvested the most often. For example, tomatoes will ripen nearly every day. So, plant them in a location where you’re most likely to see what’s ready and can pick it on your way in after work. Zone 2: Plants like okra, squash or peppers need to be harvested just once or twice a week and can withstand a bit more summer heat without supplemental watering. That makes them a great choice to fill space that you might not pass by each day. Zone 3: There are some plants, like sweet potato or pumpkins, which won’t be ready to harvest until the end of the season. Those are great candidates to place in areas around the perimeter of your property. By prioritizing bed space as you add more crops, you’ll get more enjoyment out of the experience. There’s one more thing to do before you get started, and that is to improve the soil of your beds with organic matter. Compost is one of the best organic materials you can add to your soil. If you aren’t making compost at home, there is no time like the present. Just like growing vegetables, making compost is easier than you think. I’ve written a lot on composting, but my short blog on Backyard Composting is a good place to start. If you need to purchase compost, know that not all compost is created equal. There are a few key factors to consider, but don’t worry, I covered compost-buying basics in a podcast last spring on raised bed gardening. In that podcast, I also listed some other top organic material options which will greatly improve your soil’s health. The bottom line is to feed your soil, so that your soil can feed your plants. Brie follows this credo too. In fact 80% of her garden budget is spent on organic materials for her landscape beds. Fertilizer doesn’t provide the same benefits, and in fact, it can sometimes do more harm than good. Improving soil with organic matter will reduce the need for supplemental watering or to add fertilizer. It also reduces pest and disease issues, because healthier plants are a gardener’s first line of defense against those problems. Add a layer of organic material a couple of inches thick on top of the soil and, then, mix it into the first few inches under the surface. Plants send out feeder roots which absorb the most nutrients, and those roots remain near the surface. So, there’s no need to incorporate the organic matter in any deeper. Be careful not to disturb the roots of established landscape plants. Keep adding organic matter each year. After a few years, you won’t need to work it into the soil surface. The microbial activity in your healthy soil will quickly work the nutrients under the surface for you. I explain more in that in another podcast from this past spring, The Simple Science Behind Great Gardening. Regardless of what we grow or how we grow it; pests like deer, rabbits, moles and voles can be a big problem. With a traditional garden space, it can be easier to create barriers to try to keep those creatures at bay. When we can’t (or don’t want to) build fencing around our entire property, there are some creative solutions to try. The garlic which is attractive in the garden and so easy to grow – well, mammals hate garlic. They also hate arugula and onion bulbs. Another fun fact? : the foliage of potato vine is poisonous to them. So by planting those crops around the edge of landscape beds, you can discourage garden pests from encroaching further into the bed where you might have tomatoes or lettuce or carrots tucked away. If your HOA covenants are restrictive, work with the landscaping you already have. Get creative with how you view your landscape and what you want to get from it. There are many beautiful edible plants. Swiss chard, mustard, kale, fennel, lettuce – the list goes on and on. 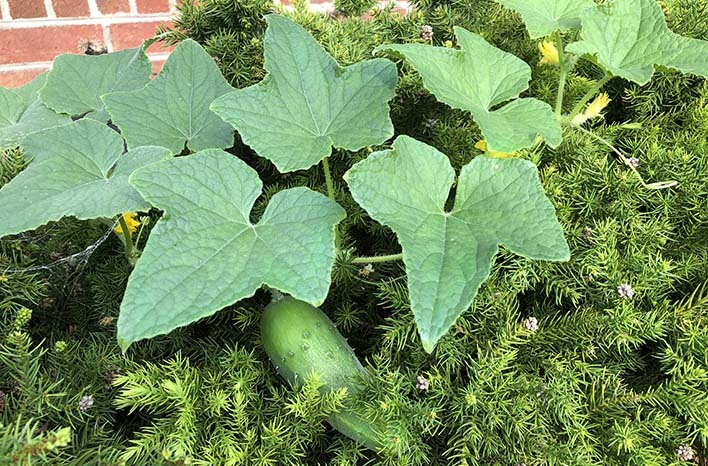 Squash or melon foliage can be a lush ground cover. You just need to identify where those plants will receive enough light and space. If you aren’t sure which spot might be best, there’s no harm in experimenting. Seeds are very inexpensive, and seedlings certainly won’t break the bank either. If one of your plants doesn’t perform well in one spot, you can try a different spot the following year. Brie has experimented – a lot – with growing many different types of edibles. This experimentation keeps things fun and can open up new worlds of possibility. During the past few years, Brie has developed a particular love for grains. Never considered growing grains before? Neither had Brie. Her revelation came on a visit to Magnolia Plantation & Gardens in Charleston where she discovered that, contrary to popular perception, rice doesn’t need to be grown in a paddie or a flooded field. Rice is grown that way in many cultures as a weed deterrent. Really! In fact, rice can be grown just about anywhere and has the same requirements as begonia or coleus. Brie started growing rice the same way she started growing many of her edibles – she picked up an inexpensive seed packet. She put all the seeds in one small area and grew it as a clump. 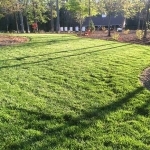 It matured into a beautiful grass that was very similar to the purple fountain grass many of us grow as an ornamental. During her first season growing rice, Brie had purple fountain grass in her landscape. The fountain grass collapsed in heavy rain, but the rice stood strong and beautiful. The following year, Brie planted 25 clumps of Carolina Gold and Black Madras rice in the landscape beds around the foundation of her home. Once again, she placed entire seed packets into one planting hole. As the rice grew, it looked just like clumps of ornamental grass – only better. Rice is the most consumed cereal grain on the planet, and it’s also one of the easiest to harvest. Brie cut the stalks and put them into a pan over heat. The heat exposed the seed, and voila – she harvested enough to provide her family with a two and a half months’ supply. 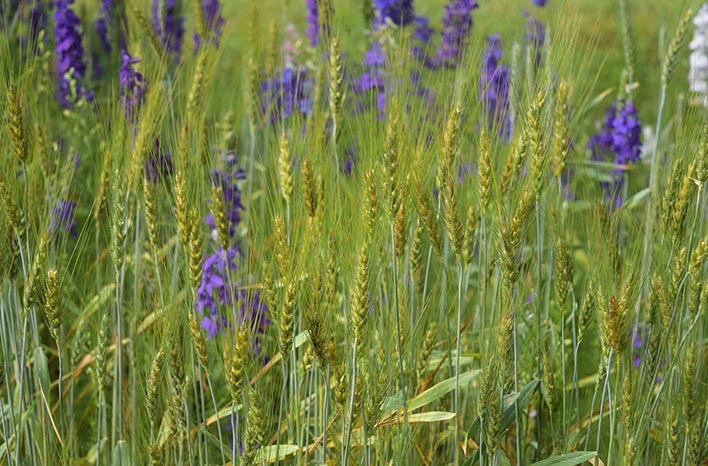 Brie has also grown barley, wheat & oats. These grains prefer warm soil, and so, might do best in containers in northern climates. They’re more difficult to harvest, but Brie loves to use them in cut flower arrangements. Remember the street-side landscape bed Brie filled with grains? The grain stalks remained green all throughout her North Carolina winter. As spring rolled around, poppies and larkspur bloomed among the grain stalks, and the beauty of the spot quickly drew admirers. It became a popular backdrop for family photos and school picture sessions. Brie worked with student groups to turn her crop into an educational experience. Together, they threshed the grain, ground it by hand, and used it for baking. This was all good stuff, but Brie was struck with even more inspiration. It didn’t take long for Brie to realize that, in addition to the grain crop, she had produced her own wheat straw – a fantastic garden amendment. She mowed the straw down in the bed and let it break down to add nutrients and improve drainage for a rich, loamy soil. These types of crops are certainly not traditional in the home garden but give them a try. 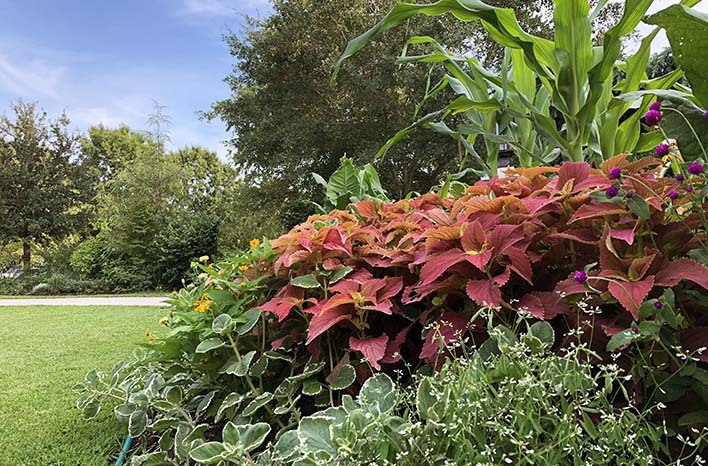 Recognize the value that all plants – ornamentals, natives and edibles – offer to help you to be a more conscientious land manager. You will reduce your grocery bill and create a spectacular landscape as a result. If you haven’t already listened to my conversation with Brie, I encourage you to scroll to the top of the page and click the Play icon in the green bar under the page title. Brie’s passion for this subject is infectious, and you’ll hear a few more examples you might use in your own home landscape.